A DUI arrest in Georgia creates a need to seek an excellent DUI lawyer to defend your case. By all legitimate measurements for lawyer reviews, a majority the state’s best-rated drunk driving lawyers are located in the metro Atlanta area. Multiple factors cause that to be the case, but a few reasons are the high volume of DUI arrests in Atlanta and a 25 mile radius, the number of contested DUI cases and appeals that have helped shape Georgia DUI laws, and the ability of a DUI lawyer to focus a criminal defense attorney practice on the field of drunk driving defense. This article summarizes five search topics that are commonly reviewed by citizens facing DUI prosecution who need to beat a DUI versus people simply concerned about DUI points, average DUI lawyer fees or how much jail time they will serve after pleading guilty to DUI. Incidentally, the best trained and most experienced of the best lawyers in Atlanta will not be charging average DUI lawyer fees, because their skill level is not average. 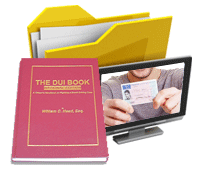 Supply and demand for their services permit premium fees to be charged, because the services and skills of these DUI lawyers Atlanta are in high demand. Evaluating DUI law firms is not an easy task, especially in the age of Internet “overload” and puffery about skill levels without track records or credentials to back up the claims. For citizens not familiar with selecting an attorney, DUI credentials and drunk driving lawyer ratings can be highly confusing. 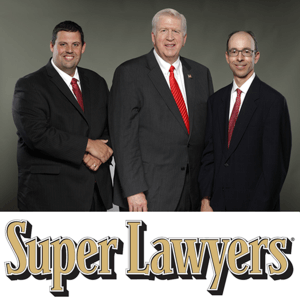 Does having a lawyer rating with Super Lawyers mean more than being a former prosecutor? 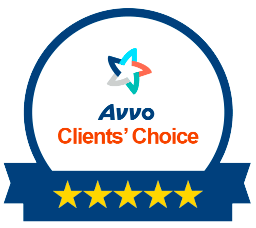 Are attorney ratings on AVVO as important as a DUI attorney being named to Best Lawyers in America, or being Board Certified as a DUI defense attorney by the National College for DUI Defense? DUI or drunk driving is a crime and a serious driving offense in every state, including GA. This crime, over the last 60 years or so, has been expanded to no longer require actually being observed driving, or committing a dangerous driving act, or even looking impaired. DUI in Georgia now covers parked vehicles, with or without the engine running, even with a sleeping driver, and even allows arrest on private property, by expanding the scope of the offense to “operating or being in actual physical control” of a motor vehicle. Additionally, ANY type of impairing substance can and will be used as the source of a GA DUI, whether alcohol, drugs, synthetic materials, plant material (marijuana, mushrooms), noxious vapors (like sniffing glue) or any other impairing product or substance. Yes, a DUI conviction in GA triggers a DUI license suspension. In a place like Atlanta, GA, which is spread out with bedroom communities located in every direction, driving is essential. Being able to drive, at least on a restricted license or interlock restricted license is a common concern for almost all citizens facing a DUI in GA.
License suspension is 100% guaranteed, in a DUI case in Georgia, even for first DUI, adult drivers. That is why the best DUI lawyers in Atlanta specialize in preventing this, in the overwhelming majority of the cases they handle. However, many special rules apply to certain categories of drivers convicted in Georgia of driving under the influence. For example, under age drinking (of alcohol) is a crime in GA, but being under 21 at the time of being convicted of DUI also causes total loss of driving privileges, whereas a person facing a DUI first offense over age 21 is typically able to get a limited driving permit to allow an immediate restricted license, or work permit. An administrative suspension under the Georgia implied consent law for DUI refusal may preclude being eligible for a limited permit, until after the administrative license suspension is over. First of all, most of the very best DUI lawyer Atlanta practitioners considered to be among the best Atlanta attorneys were not previously prosecutors. For example, of the four Board Certified DUI attorneys in Georgia, all four have their offices in Atlanta and only one was previously a prosecutor. The mindset of defending citizens charged with crimes and fighting week after week to do this over a lengthy legal career usually hones the skills of such a criminal defense lawyer, to the highest level. Secondly, the very best DUI attorney Atlanta candidates will have taken every possible training course on field sobriety tests, breath alcohol testing devices, blood tests, forensic crime laboratory quality control and analysis, plus know the potential flaws in crime lab instrumentation. 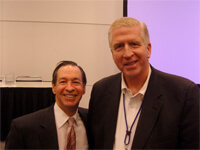 Look for such training and credentials, in comparing drunk driving attorneys in Atlanta. Is a DUI a misdemeanor? Drunk driving with multiple children in the vehicle, under age 14, since each child “counts” as another DUI, out of the same driving event. DUI accident cases, where another person has suffered a serious injury or death, can be a DUI felony. Serious bodily injury sufficient to create DUI felonies include DUI accidents resulting in a scar, a broken bone, loss of use of a finger, toes, hand, arm, etc., organic brain damage, or burns, from the car wreck. Which DUI law firm in Atlanta knows how to beat a DUI charge? Finding a DUI lawyer to be your DUI attorney should be a well-researched and detailed effort. Because so many criminal defense attorneys practice in Atlanta, it is best to narrow it down to 2 or three DUI law firms, and analyze their credentials, attorney reviews, and (beyond seeing who is Board Certified in DUI defense) look at the three (3) independent, peer-reviewed, top lawyer accolades from these major, recognized services: Best Lawyers in America, Martindale-Hubbell, and Super Lawyers. See Mr. Head’s Top 11 Ways to Beat a DUI. Dial: 404-567-5515 or fill out this short, 7 question form and we will call you back immediately. The three partners at our DUI law firm. 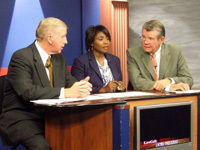 Georgia Super Lawyers Cory Yager, Bubba Head (Board Certified) and Larry Kohn (as shown below, from left to right) have thousands of prior, proven DUI case results in Georgia to prove that we know how to beat a DUI. This means that cases handled by our DUI defense lawyers that began as a DUI ended with NO DUI for those thousands of clients.